The second meeting of the 2019 season visits La Rioja for the first time in history. 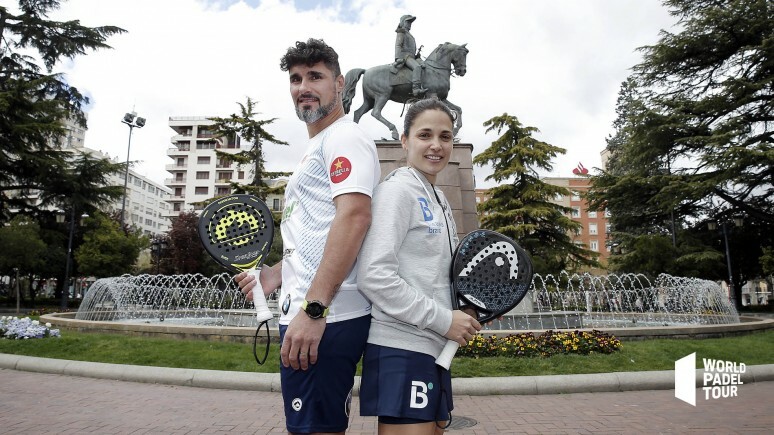 Logroño becomes for a whole week the epicenter of best padel in the world in the Logroño Open 2019. After the success of the Cervezas Victoria Marbella Master, Logroño Open celebrates his premiere in the emblematic Paseo del Espolón. A famous "Riojana" as Eli Amatriaín, representing the female circuit, and Agustín Gómez Silingo, of the men's draw, have been the ambassadors of the appointment, accompanying local authorities, led by the Councilor for Sports of the City of Logroño, Mr. Javier Merino, and Don Conrado Escobar, Sports Counselor of the Government of La Rioja, at the start of the first Open of the year. A presentation that has generated great excitement among local and national media, and has served to kick off an essential week for the crazy fans of padel. From April 7 to 14, the Palacio de los Deportes of La Rioja and Las Gaunas Sports Center triple the World Padel Tour bet with three official courts installed, so that fans do not miss a single detail of the best padel in the world.